This advice is perfect for aspiring entrepreneurs who hope to start a yogurt shop. Read this before you start! Wondering how to start a yogurt shop? We take you step-by-step from start to success. Here's the good news: Yogurt shops have become very popular with the buying public. Unfortunately, that's also the bad news – consumer demand for frozen yogurt and other yogurt shop delicacies has attracted a stampede of yogurt shop startups. Although there is always room for a new startup that can beat the competition on quality and price, successful yogurt shop startups can't afford to make any mistakes. As you're planning your yogurt shop startup, the first thing to consider is location. Like it or not, frozen yogurt is primarily an impulse purchase and location can make the difference between success and failure. Focus your search on high traffic locations near beaches, shopping malls, and other tourist locations. Another key to startup success is product diversification. You will never make it selling a single flavor of frozen yogurt, no matter how good it tastes. In fact, the most successful yogurt shops expand their product offerings beyond yogurt to include fudge, confections, light sandwiches, and other menu items with broad consumer appeal. Since you're new to the market, you will probably have to compete on price as well as quality. Profit margins will be tight, so you'll need to carefully monitor supplies and ordering. One of the ways to reduce spoilage is to offer a handful of yogurt flavors, but a large variety of toppings. Toppings keep better than yogurt and can add similar value to the final product. Want to learn more about pricing strategies? We have a whole section of articles to help you price your products. 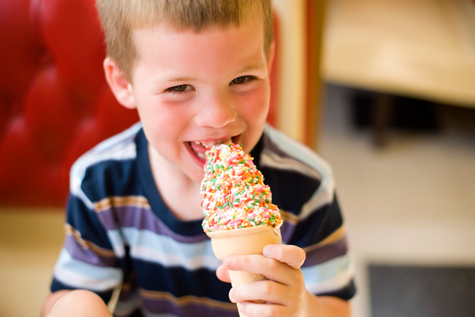 To reduce costs even further, consider the possibility of making your yogurt shop self-serve. Self-serve yogurt shops are popping up all across the country and are attractive to business owners because they reduce the amount of labor that is required to run a successful shop. If your startup is struggling, you might want to think about expanding your revenue stream by distributing your frozen yogurt through local grocery stores and food vendors. This can be particularly effective if you have developed a unique flavor or line of flavors that are associated with your brand. A good business plan is the foundation of your entrepreneurial journey. Lenders, investors and other interested parties are accustomed to seeing several key business plan elements and if your yogurt shop's plan leaves something out, it could have real consequences for your company. To guide your search, we've compiled a list of business plan software packages, all of which have proven value for yogurt shop entrepreneurs. New business owners often consider how much space they need when exploring site selection, but there are many other important factors. Are there many viable employees nearby, for example? There's a lot to consider and you need to do a thorough analysis. Well in advance of opening a yogurt shop within your community, it's a smart move to determine how many competitors you have. Try our link below to find competitors in your city. Complete the form by entering your city, state and zip code to get a list of yogurt shops that are close by. After you've evaluated your local competitors, it's a smart move to learn from folks who are already in business. Local competitors are not going to give you the time of day, mind you. The last thing they want to do is help you to be a better competitor. However, a fellow entrepreneur who has started a yogurt shop in another town will be much more likely to talk with you, provided that you won't be directly competing with them. Many business owners are happy to give advice to new entrepreneurs. Our estimate is that you may have to contact many business owners to find one who is willing to share his wisdom with you. How does one go about finding a yogurt shop manager who is willing to advise you because you live in different cities? More than a few experts advise prospective yogurt shop startup entrepreneurs to pursue an acquisition strategy. But what's so great about a yogurt shop acquisition? Financing and funding concerns ought to play a central role in your strategy. Investors and lenders have it and you need it. Yet many are hesitant to fund startups, preferring instead to fund business purchases. If you are launching your first business venture, you should evaluate going with a franchise network. If you are thinking about opening a yogurt shop, a smart move is to investigate whether purchasing a franchise might make sense for you. What do you have to say about starting a yogurt shop? The small business owners who read this article after you will appreciate your helpful insights. Already Own a Yogurt Shop? Are You Selling to Yogurt Shops?